LadyFingers is a boutique catering service for the modern client who expects a fresh, locally sourced menu. Ingredients are hand-selected from local purveyors and then carefully transformed. LadyFingers features gourmet hors d’oeuvres, festive food stations and beautiful buffets customized to suit your catering needs. We can satisfy all tastes and accommodate all dietary needs including Heart-Healthy, Vegetarian, Vegan, Gluten-Free and Paleo. Contact us to consult on your special menu! 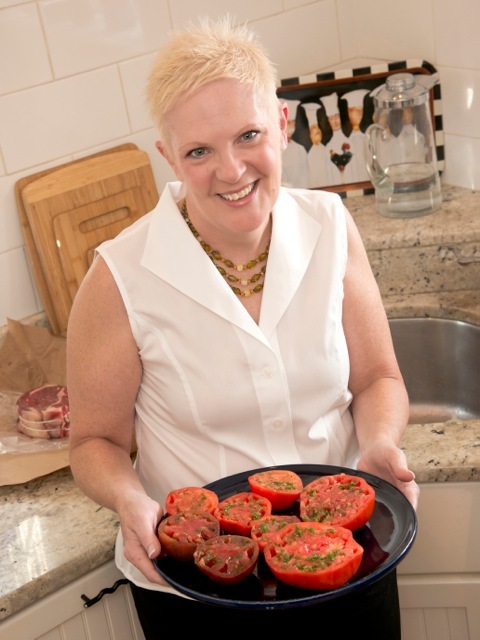 Diane grew up in a home filled with food and parties and she began her cooking at age 6. She learned her love of food from her Mom and her Aunt who taught her that great moments in life happen over great food. As a personal chef in Atlanta, Diane owned The Workday Gourmet and prepared gourmet in-home food for clients throughout the Atlanta Metro area. Here in her hometown of Pittsburgh, Diane opened LadyFingers Catering and is using her cooking and party planning talent to help you celebrate your special moments. The LadyFingers staff is ready to serve you! Professional, poised and friendly, the staff is dedicated to the happiness of your guests and the success of your event. LadyFingers caters events in Pittsburgh and surrounding counties: Allegheny, Washington, Beaver, Butler and Westmoreland.